The survey from What Car? looked at the value of cars three years after being on the market, with some surprising winners on the forecourts of Britain. The overall picture finds that electric and hybrid vehicles retain 47 per cent of their market value and it is no surprise to find that those at the top end of the market hold the most value. 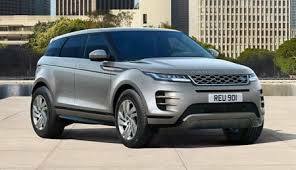 The top performer is the Range Rover Evoque R-Dynamic P250, which had a market value of £38,675 and three years later had retained 70.1% of its value. Others to retain their value include the Porsche Cayenne E-Hybrid, the Audi E-tron 55 quattro and the Porsche Panamera Sport Turismo 4 E-Hybrid. Porsche perform well overall in the list occupying four of the sports in the top ten. It’s not all great news for electric vehicles, the Renault Zoe i Dynamique Nav is one of the worst performers, with only 29.3 per cent of its value after three years on the road. The study is also bad news for Fiat, which has the top two most depreciating cars on the What Car? List.